This shop has been compensated by Collective Bias, Inc. and its advertiser. All opinions are mine alone. #GiftDeliciously #CollectiveBias There is nothing like a simple recipe that doesn’t require any baking and only takes minutes to put together. 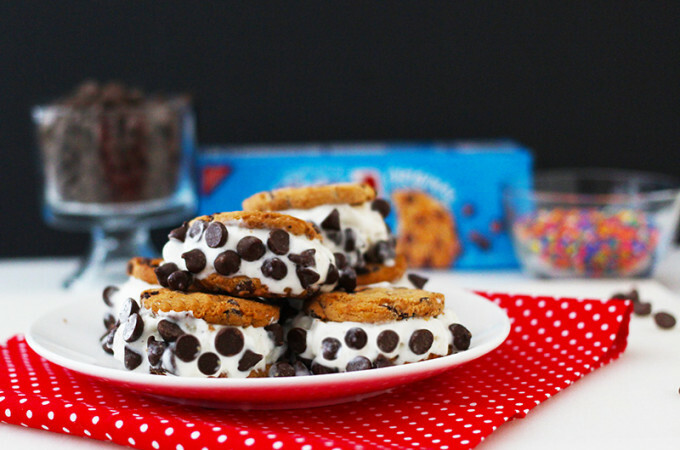 This recipe was created out of necessity and the craving for a chocolate chip ice cream sandwich….